"You know what? Screw it. I'm tired of painting at the beach. I'm tired of painting beautiful coastal sunsets. I'm tired of painting rolling golden hills, and lush green vineyards, and mountainside streams. 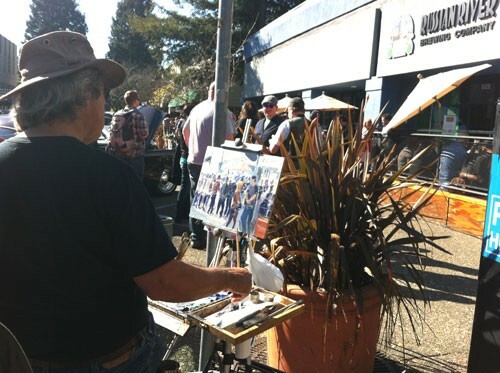 I'm a Sonoma County painter, dammit, and I'm gonna paint a bunch of people waiting in line to drink beer."